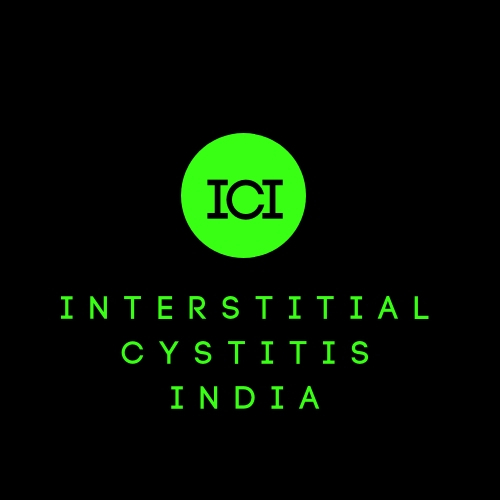 Pain is an integral part of interstitial cystitis however it is grossly overlooked in India. An IC patient can benefit a lot from pain therapy. Today we bring an interview with Dr Mahesh Menon, eminent pain therapist from Mumbai on what role pain management plays in treating IC. Dr Mahesh Menon treats patients suffering from any chronic pain (pain lasting longer than 3 months). 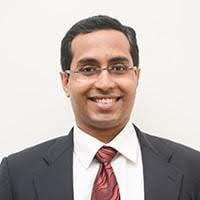 He has trained in Mumbai, and has a fellowship from Singapore and is the first Indian physician to be awarded a European diploma in pain medicine. He currently practises at Kokilaben Dhirubhai Ambani Hospital and medical research institute and handles the Pain and Palliative Care Centre. 1. What is Interstitial Cystitis from the perspective of a pain therapist? Interstitial cystitis is a poorly understood medical condition which causes pain and difficulty while passing urine. 2. What kind of pain affect IC patients? Patients suffering from IC have pain during passing urine, the flow of urine may be very poor and they may take a long time to completely pass urine. In addition, there is an increase in the number of times they may have to visit the toilet to pass urine and there may be a severe pelvic pain. 3. What role does a pain specialist play in treating IC? Pain is a central theme in this poorly understood disease. Pain causes a significant impact on the patient's quality of life. This condition responds poorly to treatment and not much is known about it. Even the American Urological Association (AUA) guidelines mention the role of pain management. It is very important to keep the pain in check so that these patients may have a good quality of life. Pain specialists with an expertise and aptitude in treating chronic pelvic pain may contribute to this neglected aspect of patient care, so that these patients may suffer less. 4. Is the pain related to Interstitial Cystitis acute or chronic? There are acute episodes of pain in patients with interstitial cystitis, and there are different ways in which patients experience symptoms. Some patients may get episodes of pain (acute, and lasting for brief periods with flare-ups). Some patients may continue to keep getting the pain, and if the pain duration crosses three months, it is labelled as chronic pain. In addition, chronic pain has other features like impact on mood, function and activity. 5. What kind of pain therapy works for IC patients? There is no definite "pain therapy" for IC patients because every patient is different when it comes to pain. For some patients, medicines work well. For some patients, physical therapy may be advised. For some patients, specialised injections called 'pain blocks' may have to be tried to relieve the pain. Usually, a combination of these modalities is used to help the patients in pain. This is in addition to the role of professionals to help with the psychological distress caused by these pains. 6. Are there any OTC medicines for IC patients for immediate relief? Paracetamol is a simple OTC medicine, and it may be taken three to four times a day- preferably after speaking with the doctor. However, OTC medicines do not impact pain in IC because of the severity of the nature of IC pain. 7. What could be the possible side-effects of OTC medicines? Liver failure, acidity and kidney failure (since some of the NSAID group of painkillers are also available as OTC in India). 8. Is there any non-opioid medicine currently available that are used to relieve symptoms caused by irritation of the urinary tract such as pain, burning, the feeling of needing to urinate urgently or frequently, and bladder spasms? Certain antispasmodic medicines work in IC and may be prescribed by the Urologist. There is a specific medicine for patients with IC which has been studied in trials, called Pentosan Polysulfate which helps with symptoms of IC. 9. Medicines that are applied topically as gels, creams, suppositories, and patches, often cause fewer systemic side effects. Could an IC patient use a combination of topical medicines to get relief? Not for the superfical pain. Intravesical application (applying lignocaine and topical agents inside the bladder) helps in some patients in pain relief. There are patients who instil agents by putting a catheter inside their urinary bladder themselves (self-catheterisation). This would require a high level of coordination between the patient and the treating team to facilitate education and empowerment of the patient. 10. 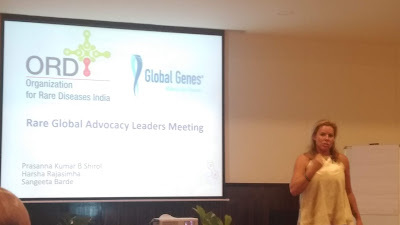 Are Lidocaine and topical amitriptyline useful and available in India? 11. Are narcotic pain medicines advisable for severe IC patients? 12. What could be the pros and cons of using narcotic pain medicines? Pros: If the medicine works, there is one useful tool to help patients get back to a good quality of life. Cons: The biggest fear is dependence on the medicine and thus causing a new problem altogether in addition to the existing problems of IC. The other problems include constipation, nausea and sedation and an impact on breathing, called respiratory depression. 13. Could you suggest some home remedies to get pain relief for IC patients? 14. What is Pelvic Floor Dysfunction (PFD)? What are the signs and symptoms? Pelvic floor dysfunction is a broad term to involve conditions affecting the activity of the pelvic floor. Simply speaking, it refers to conditions with overactive bladders, poor control over the evacuation of urine or stools, or sexual problems. 15. What is the relation between IC and PFD? Patients with IC may have an underlying PFD in addition to their IC. 16. What are the external physical therapies that can be used for IC patients? TENS is a modality that can help with IC. In addition, pelvic floor exercises can help patients with IC. 17. What are the internal therapies that can be used? Intravaginal electrical stimulation can be used as a part of the treatment of chronic pelvic pain. In addition, some physical therapists do pelvic floor manual therapy to release trigger points, help reduce pelvic floor muscle spasm etc. 18. What kinds of devices are used by physical therapists for IC patients? 19. Would you advise Neuromodulation for IC patients? 20. Could you suggest any Physical Therapist in India who is skilled in treating IC patients?